As Valentine’s Day approaches, love is certainly in the air. And as Cupid prepares his bow with arrows of adoration and affection, it’s a bad time to be caught without anything to give to your special someone. No need to worry though, we’ve come up with a list of thoughtful gift ideas to suit a wide variety of cannabis enthusiasts. While there are many gifts suitable for Valentine’s Day, we decided to custom-curate our own cannabis-inspired gift guide with a little something for everyone. Remember, the most important part of Valentine’s Day is spending time with significant others and letting them know how much you appreciate them. Each one of the following ideas is will help supplement your love and make it that much more special. Without further ado, let’s get started! Our first gift idea comes from the fine folks over at Stashlogix. Show your special someone that you care by picking them up a stash bag. Stashlogix stash bags are ideal storage solutions for purses, cars, backpacks and are interchangeable from a day on the slopes, tailgating at concert, family camping or a fun night out on the town. Built in Colorado, Stashlogix bags will keep your valentine prepared with their weather-resistant and odor-resistant design. PRO TIP: A Stashlogix Stash Bag looks much more appealing when it’s packed full with cannabis goodies! The Ardent Decarboxylator is an at-home smart device that guarantees maximum potency from your cannabis flower or extract. Lab-tested and patent-pending, the Ardent Decarboxylator fully activates cannabinoids like THC and CBD through an odorless, precision heating and timing process called decarboxylation. Cannabinoid activation is the the vital first step to making the most effective edibles, topicals, oils, toners, under-the-tongue doses and more. To learn more, visit Ardent's website here. 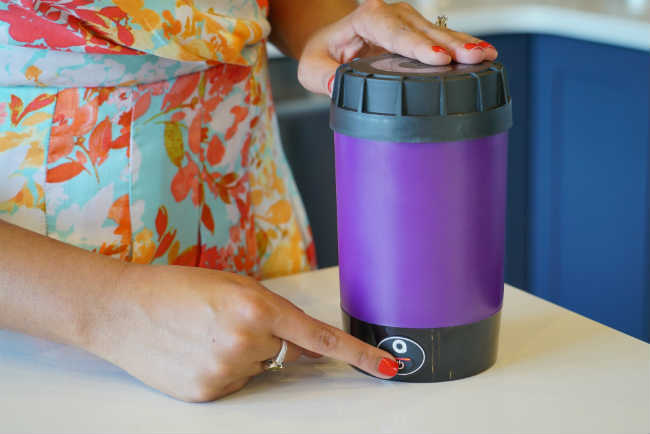 PRO TIP: If you're making a special infused treat for Valentine's Day, the Ardent Decarboxylator will make cooking a breeze! Unwind, relax and share an intimate moment with your significant other in the form of a couple’s cannabis massage. Feel the stress of your everyday life melt away as licensed massage therapists masterfully rid your body of tension with all-natural cannabis-infused topicals and lotions. Advertised as an excellent date night experience, My 420 Tour’s Sushi and Joint Rolling Class is a unique and romantic way to spend time with loved ones. They even have a special Valentine’s Day session if you haven’t made plans for the big day yet. Nothing beats spending time with your significant other, unless you’re spending that time rolling both sushi and cannabis! Offering a firsthand look into the exciting cannabis industry, a greenhouse grow and dispensary tour can be the perfect way to get closer to someone special. With tight corridors and narrow hallways, these tours are perfect for handholding and sneaking in a couple kisses, too! Of course, Valentine’s Day for a couple cannabis enthusiasts wouldn’t be the same without some high-quality cannabis! 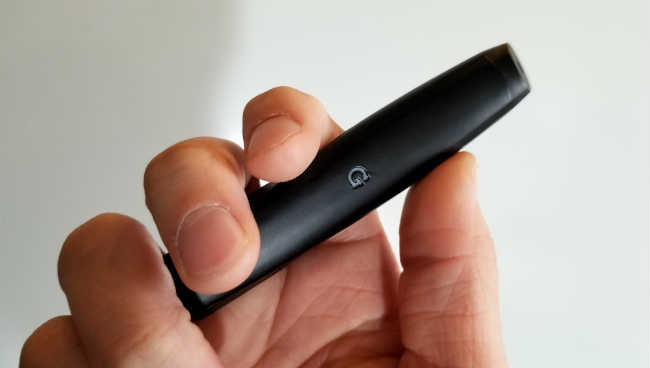 Thankfully, G Pen recently released their new line of batteries and cartridges, the G Pen Gio. These batteries are designed specifically to work with G Pen Gio cartridges sold at participating dispensaries. NOTE: The G Pen Gio is only available in California and Colorado at this time. If you’re not in those states, they have plenty of other products to help enhance your cannabis experience! Does your significant other enjoy using vape pens or cartridges? 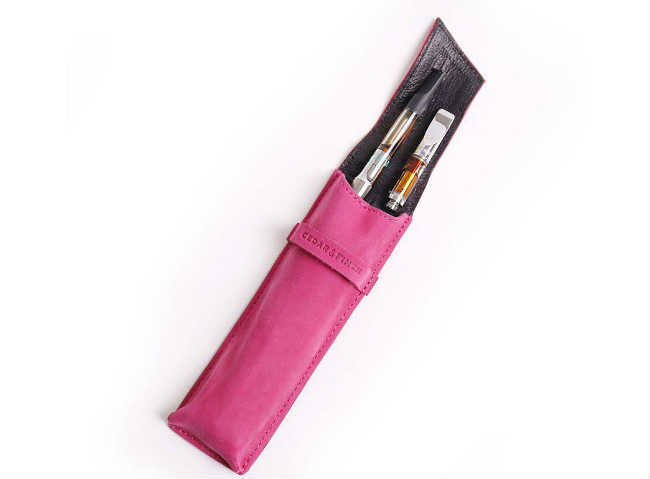 Then the Cedar and Finch Vape Pen Pouch is the ultimate gift for them. It even comes in two colors, rose (pictured) or honey, which are perfect for either him or her! 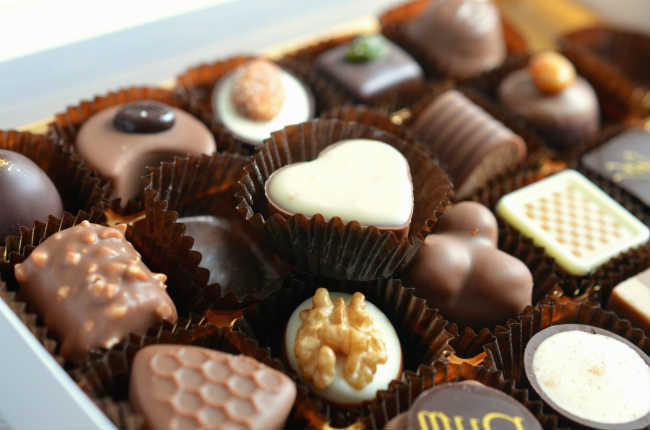 Chocolate is a staple of Valentine’s Day, but regular chocolates are boring! This year, give the gift of a delectable infused edible. There are many great brands who make infused chocolates, so if you live in a legal state grab a bar or two on your next dispensary visit! As we all know, things can get intimate on Valentine’s Day. 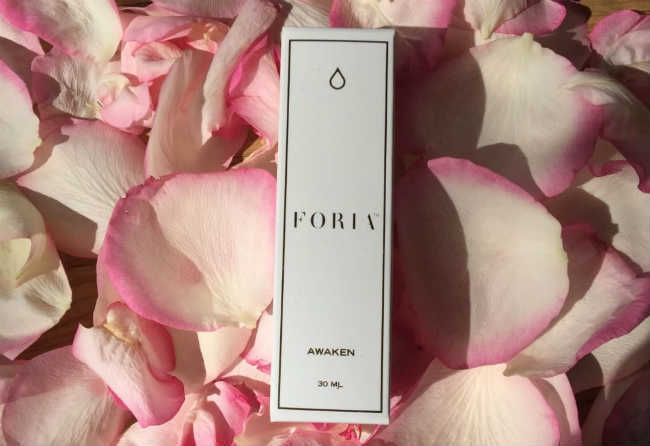 Be prepared when the moment hits with Foria’s cannabis-infused lubricant, guaranteed to help spice things up in the bedroom. Pick up a bottle today at your local dispensary to see what natural, euphoric pleasure can do for your relationship! Add some elegance to your Valentine’s Day with the Malin + Goetz Cannabis Handwash and Votive Set. An exquisite blend of spices and herbs, this gift is an excellent idea for anyone looking to add a touch of cannabis to their lives. 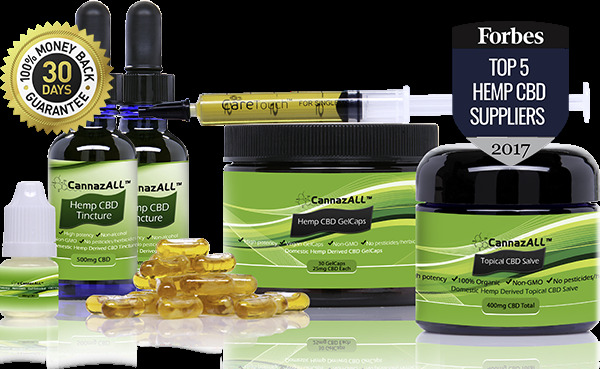 Since its inception, this set has seen tremendous popularity among canna-connoisseurs and novices alike! Something smells fresh, and it’s not your cheesy pickup lines! 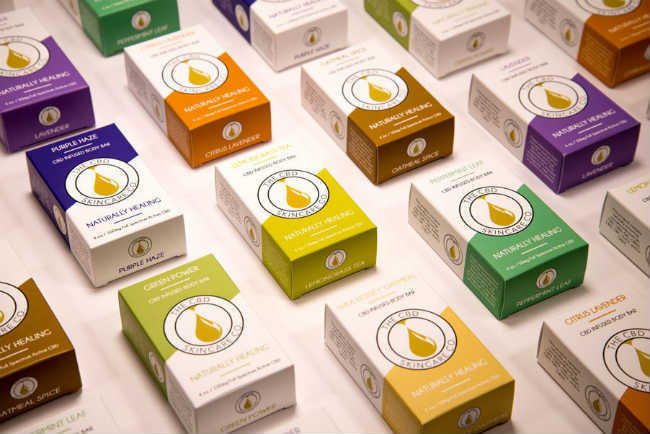 Cannabis soaps from the CBD Skincare Co. are great for incorporating the healing benefits of CBD into your everyday routine. With a variety of scents to choose from, there’s a soap for everyone to enjoy! Don’t want to leave the house for an intimate massage experience? Then a CBD Salve from HempLife Today may be the perfect solution. Show each other you care by trading nice, relaxing massages. Not only will you feel relieved from the massage, but the CBD will also help you get rid of unwanted stress and relish in the company of your special someone. PRO TIP: CBD is legal in all 50 states and can be shipped nationwide! Set the mood with a hand-poured candle from Kushed Candles. 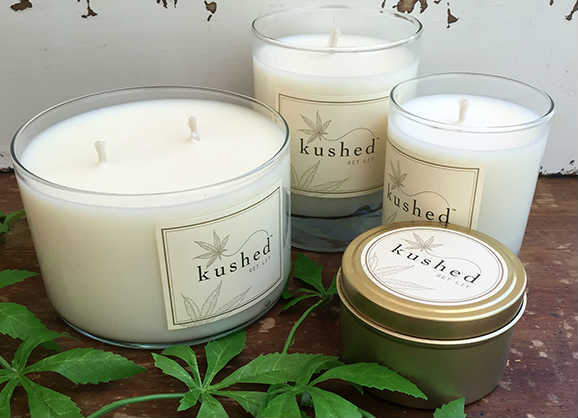 Expertly crafted to promote sheer bliss and a soothing sensation, these candles are a must have if you’re looking to enjoy some cannabis and bask in a feeling of relaxed harmony. Feeling artistic? Nothing spells “I love you” better than a hand-painted masterpiece of expression. 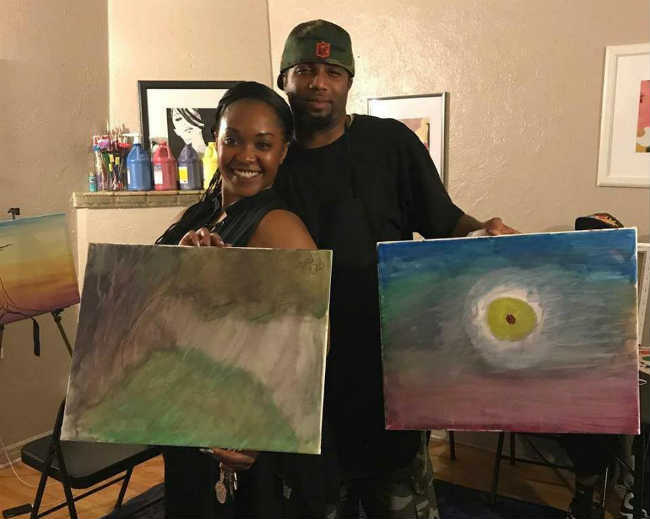 Kush and Canvases offers several cannabis-inspired art classes for you to boost your creativity and enjoy a night out with your special someone.